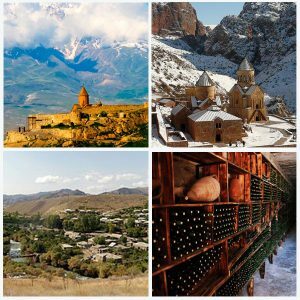 Sun Tour Travel invites you to travel around Armenia – to one of the oldest countries in the world or, as some sources mention, the cradle of civilization. 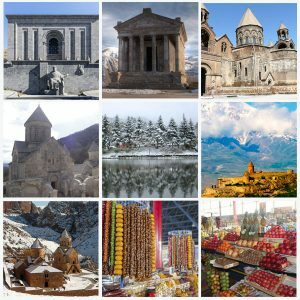 We offer group and individual tours to Armenia with a tour of unique architectural monuments, ancient monasteries, picturesque nature and the opportunity to enjoy delicious national cuisine. 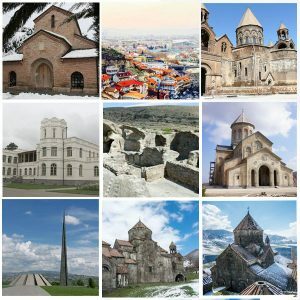 A small hospitable country stretches in the south of the Caucasus at the intersection of the roads of Europe and Asia. The relief of the territory is a combination of plains, lava plateaus, extinct volcanoes, valleys of rivers and lakes and, of course, mountains. The temperate and high-mountain climate prevails in Armenia. 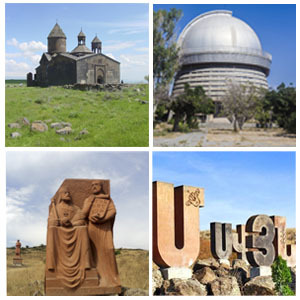 Sunny summer, mild winter, warm spring and abundant autumn make rest in Armenia attractive at any time of the year. We will open for you a rich cultural heritage of the country. 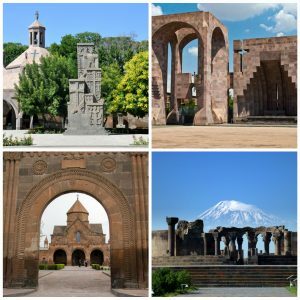 During tours to Armenia you will make a pilgrimage to ancient monasteries and churches, as well as visit the pagan temple of the Sun God. You will learn the most interesting and fascinating history of these places, included in the UNESCO World Heritage sites. Natural beauties open in the “Valley of Flowers” Tsaghkadzor and on the beautiful high-mountain lake Sevan. Excursion programs include visits and tasting of products of eminent cognac and wineries, as well as a visit to the handmade carpet factory.